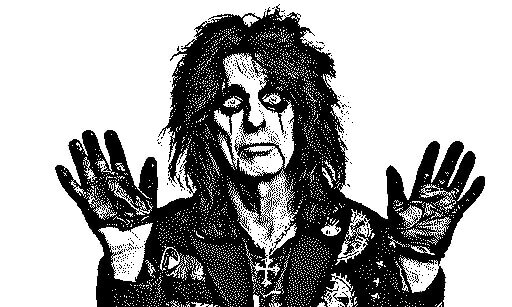 ﻿After releasing two fairly insignificant albums on Frank Zappa’s newly inaugurated Straight label, Alice Cooper and his band moved from LA to Detroit in an attempt to tap into some of the ground-breaking rock n’ roll energy emanating from two of the city’s most well known bands: the MC5 and The Stooges. $100,000 in debt, the five band members (one of whom—the drummer Neal Smith—happens to be a distant relative on Lori’s side of the family) holed up in a single hotel room until they were discovered by legendary producer Bob Ezrin. Under his wing, the band recorded an album that changed their artistic credibility and commercial fortunes almost overnight. Regarded by some as the American equivalent of The Who’s “My Generation,” the Happy Medium Song of the Day is “I’m Eighteen” by Alice Cooper from the 1970 release Love It To Death.